whether your SilverFast version is qualified for an update or upgrade. If you encounter any questions or problems, please feel free to contact our support team. 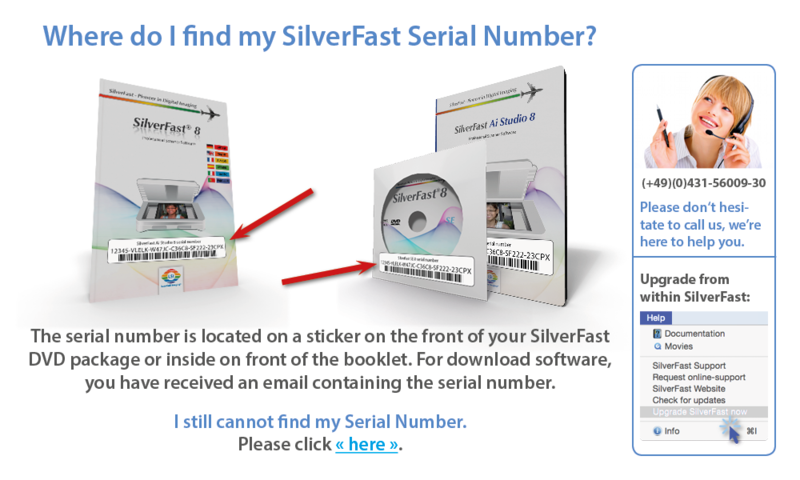 SilverFast serial number *: Where do I find my serial number?